11 July 2016. 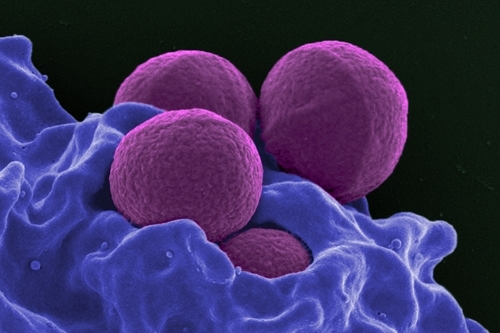 An advocacy organization promoting research on drug-resistant bacteria is collaborating with a drug discovery company to find compounds that reverse resistance to antibiotics. Financial details about the contract between Antibiotic Research UK in York and Evotec AG in Hamburg were not disclosed. Antibiotic resistance in bacteria is a growing, worldwide problem that World Health Organization calls a “serious threat to global public health that requires action across all government sectors and society.” Many hospital-acquired infections are resistant to antibiotics, such as methicillin-resistant Staphylococcus aureus or MRSA, with the problem found increasingly among individuals with HIV and tuberculosis. WHO reported in 2013, some 480 000 new cases of multidrug-resistant tuberculosis were identified in about 100 countries. Antibiotic Research UK is an advocacy and charitable organization formed in June 2014 from an informal network of academic researchers and clinicians concerned about the low priority seemingly given research on antibiotic-resistant bacteria and the lack of new drugs. A paper published in September 2014 in The Lancet Infectious Diseases found £95 million ($US 123 million) spent on studies of antibiotics, accounting for only 0.7 percent of all medical research funding in the U.K. The organization aims to raise £30 million in the next 5 years to bring at least 1 new antibiotic treatment to the market. Evotec offers drug discovery services in the areas of neuroscience, pain, metabolic diseases, oncology, inflammation, and infectious diseases. The company generally works through collaborations with research labs, not-for-profit organizations, and drug companies, providing target identification and validation, hit identification, and candidate development including biologics. Under the agreement, Antibiotic Research UK and Evotec will partner on discovery of so-called antibiotic resistance breakers, existing drugs that when combined with antibiotics can kill gram-negative bacteria directly or break the defense mechanisms in bacteria providing resistance. Gram-negative bacteria are associated with infections such as pneumonia, bloodstream infections, wound, and surgical site infections. “Gram” refers to a classification for bacteria where the microbes either retain (gram-positive) or shed (gram-negative) a test stain on their protective cell coatings. The joint initiative is the first research project undertaken by Antibiotic Research UK since its founding. Much of the work is expected to take place at Evotec’s research site in Manchester, U.K. that specializes in infectious diseases and the company’s bio-safety certified high-throughput screening facility in Toulouse, France. Joint ventures/collaborations biomedical, Europe, health care, life sciences, pharmaceuticals, U.K.